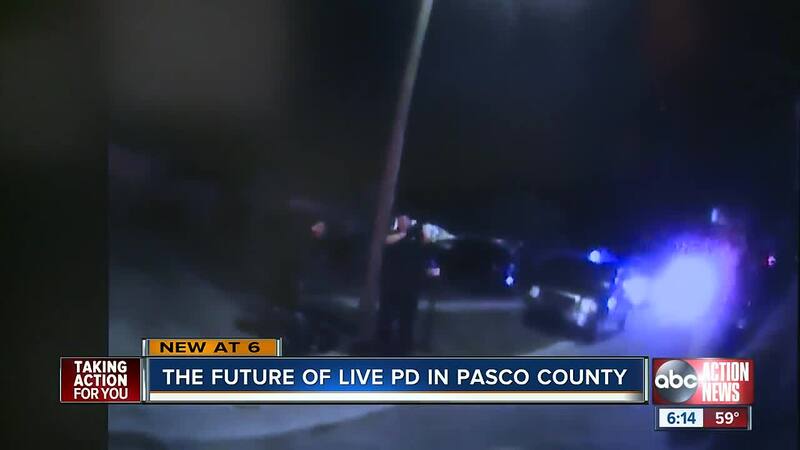 PASCO COUNTY, FLA - The Pasco County Sheriff says he has to decide whether to renew a contract with Live PD or if this will be their last season. Sheriff Chris Nocco confirms their contract ends in March. “We’re going to look at everything to put it in perspective. That decision will be based solely off of us -not because of a very few that are upset because we’re on Live PD,” Sheriff Nocco said. Sheriff Nocco said no one should blame the show for airing real issues happening in the county like mental health and substance abuse. “Sometimes people will say ‘oh it doesn’t make us look good as a community' and for me our standpoint is, if there’s a problem, let’s fix it,” the sheriff said. Back in August, Live PD came up during a Pasco County commission meeting. “We have had calls from businesses in the county that are concerned when they’re in the background of a film of a drug deal going down. They worry it makes it look like their business is not a safe place to go,” one commissioner said during that meeting. Another commissioner raised concerns too, during that meeting. “I just think the image that we’re getting is just being focused night to night (and) when that goes out there (it) is just not helping the county,” he said. According to a county official, Visit Pasco completed a survey in September which showed that 82 percent of visitors are not influenced by the show. The sheriff is not surprised by the results of the survey. Sheriff Nocco confirms they renewed their contract in August to appear in the 2nd season of the show. It is unclear whether he will decide to renew the contract in March to be featured in the 3rd season of the show. “We really wanted to show what we’re doing and Live PD gave us that opportunity to see first hand what the deputies are going through,” Sheriff Nocco said. Brendan Fitterer, Public Information Officer with Pasco County Government, said the commission supports and has a good relationship with the sheriff’s office.